Eastwood Homes is entering the Atlanta market by breaking ground on its first community in Dacula, Georgia. The builder’s corporate headquarters is based in Charlotte, North Carolina. The company actively builds in North Carolina (Charlotte, Raleigh and Triad), South Carolina (Charleston, Columbia and Greenville) and Virginia (Richmond). 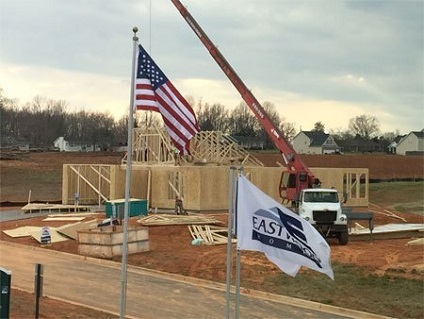 In business since 1977, Eastwood Homes was founded by Joseph K. Steward and is, to this day, a privately-held homebuilding company with a focus on delighting buyers in every step of the building process. “Built with Care” is the company’s tagline and its goal is to ensure that customers, employees and trade partners will recommend them in confidence. 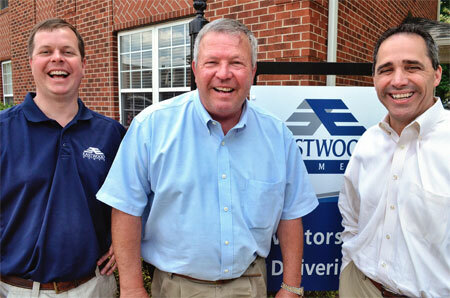 Steve Atchison is the Atlanta Division President of Eastwood Homes, a position he has held for a year while ramping up the division. Prior to that, he was the division president for Lennar Atlanta. Before moving to Atlanta in 2016 he worked for a variety of home builders across the country – Taylor Morrison in Chicago, Illinois; Orleans Homes in the Chicago area; and most notably he was with Pulte Group for almost 16 years serving as division president in Illinois, Michigan, Texas and Arizona. Atchison has Bachelor of Arts degrees from Albion College in Computational Mathematics and Economics and Management. He is a CPA and served as senior accountant for Ernst & Young in Detroit for four years after college. From there, he entered the homebuilding business with Pulte as the VP of Finance. Atchison’s unique background gives him a solid feel for the economics of homebuilding and makes him an excellent choice to lead Eastwood Homes into the greater Atlanta metro new homes market. Windsor Knoll, the first Atlanta-area community by Eastwood Homes currently under development in Gwinnett County, is located on New Hope Road in Dacula. The 26.79-acre development will feature 50 single-family homes when complete. A model home is under construction and scheduled to open this spring. The builder will be represented by Engle & Volkers Buckhead Atlanta for new home sales at Windsor Knoll. Eastwood Homes offers a wide variety of floor plans including garage townhomes, ranch plans, master down and two- and three-story home designs with two- and three-car garages, bonus rooms, sunrooms, lofts and more. Homes in the Raleigh area are priced from the $200,000s to the $400,000s, we anticipate that prices in Atlanta may be about the same. Check back and we will add contact information for sales when it is available. In the meantime, visit www.EastwoodHomes.com for more information.